Steve and Kristen had a really fun idea for a photo with their wedding party. Steve's grandpa has a farm between York and Bradshaw, Nebraska and a field full of hay bales. 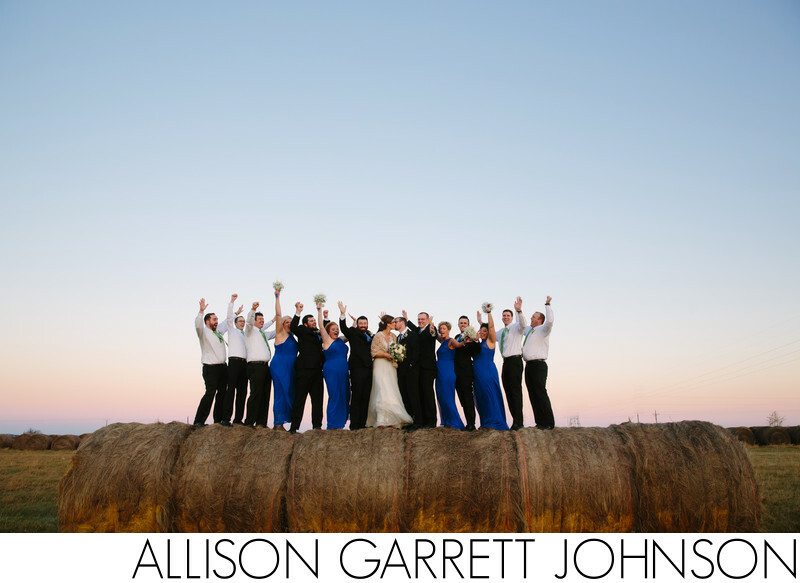 Before the wedding they moved all of the bales into place (after seeking my advance on the best direction for the lighting) and even brought a ladder for the group to climb on the hay bales. What they weren't counting on was that the weather on the day of their wedding was absolutely awful! It was in the mid-30's and 40+ mph winds. Thankfully they were a tough group and we were able to capture this fun moment.